What a remarkable transfer window this has been for Ipswich Town football club, with eight newcomers already signed and more likely to follow over the next 24 hours. Today, at long last, we witnessed the arrival of Shrewsbury pair Jon Nolan and Toto Nsiala, who have both signed three-year contracts with an option of another year, and already the talk is of who else might be coming to Portman Road? It was interesting to listen to the Shrews duo being interviewed by Steven Pearce for ifollow on the official Town website www.itfc.co.uk because throughout their careers they have shared similar experiences from their Liverpool roots at the Everton Academy, to their time at both Grimbsy and then Shrewsbury and now here! The one thing that seems to bind them together is gaffer Paul Hurst, and it surely speaks volumes for his man management skills. I was impressed with the way Toto Nsiala spoke so highly of his former club. He said that leaving them was a big wrench and that those Shrews fans were fantastic. Let us hope he learns to love our proud following just as much in the years ahead, and of course the same applies to Jon Nolan, who seems very focused. But all these wheelings and dealings still have one full day to run and although Hurst has already recruited a staggering eight new players in just a few short weeks since he took the job, he is still on the lookout for more and obviously the money Town received through the sale of Martyn Waghorn has certainly boosted the financial coffers, and we can expect yet more new arrivals within the next 24 hours! First up, could be Accrington Stanley striker Kayden Jackson who has arrived at Town this afternoon with the view to taking a medical, and if all goes well, he could be a Town player too, as early as the end of the day, or by tomorrow morning! He also has to discuss personal terms of course but the fee is said to be somewhere in the region of 1.6 million pounds but this could rise, with add-ons, to around two million when certain targets are met. As so many players are coming through that revolving door, the question is who will be heading out of it? Perhaps Joe Garner could leave us if we get Rangers forward Josh Windass? The news today is that a bid of 1.2 million pounds has been placed by the Blues. If it is declined by Gers manager Stephen Gerrard, then it is unlikely that Town will be in a position to increase their bid much more – especially if they still have designed on persuading Blackpool to part with Curtis Tilt? A move for Rangers left Declan John on loan is also a possibility but does this suggest that Jonas Knudsen might be looking to the exit door as well? Transfer talk on all fronts is rife at the moment and understandably so. 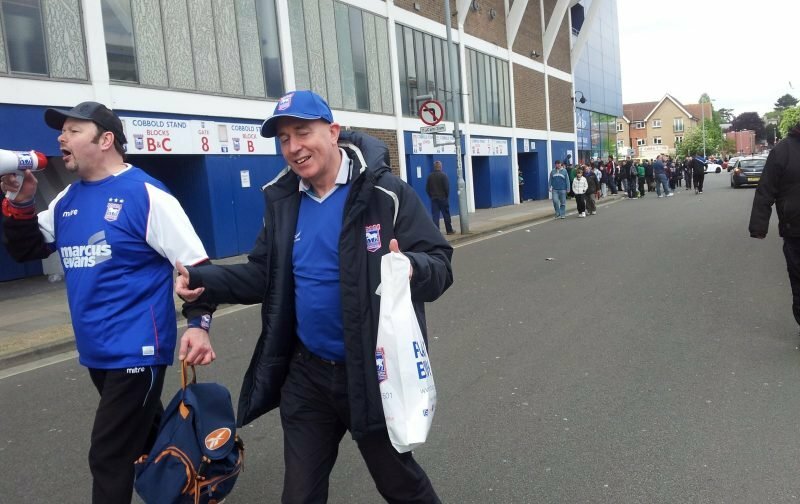 These are indeed exciting times to be a supporter of Ipswich Town football club and it will be fascinating to see how things pan out during the remaining hours of this frenetic transfer window. It will be interesting too to see what team Hurst selects for Rotherham on Saturday? I haven’t got the foggiest to be honest!